Black Lace Dress 2 Ways of Styling - I.A. Embroidery and lace are still a vital part of the fall/ winter 2016-2017 fashion trends. The new trend is appearance of turtleneck lace dresses under velvet layers and over masculine pants which is so refreshing. At Mulberry runway , the gorgeous lace dresses also come with leather jackets worn over and shiny studs adding to the swishing effects of the skirts, making the pieces all the lovelier to own. 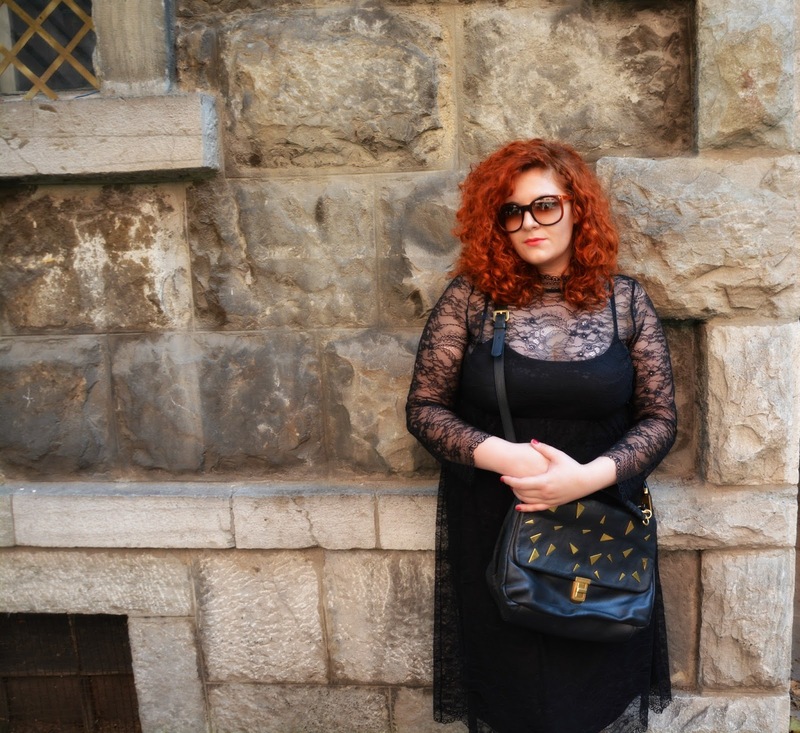 I love lace so I found my perfect little lace black dress with gorgeous turtleneck and try two ways of wearing. Love the style. Especially the one with the jacket. thanks for always dropping by my blog! I adore you in this black dress! I like your style! Great outfit! Lovely dress Ivana, I love both your combinations!!! Both ways you are wearing this beautiful dress are very cool! Amazing look! Love the dress! Predivna haljina i cela kombinacija! Odlicno ti stoji!!! Ivana - Graduate Master Architect and Interior designer. I'm passionate for Fashion, Beauty, Travel and Books. This blog is a place where I want to share all the things I love to you!